Applying good ethical standards to the online world is a direct reflection of your business online. Ethics affects all aspects of your business. It affects first and foremost your company’s brand image and subsequently how sales, marketing, and advertising principles are applied to the task of making your company profitable for the long haul. Ethics affects your employees, and how they represent your company online, on the phone, in person, and all types of customer service and customer relations when dealing with buyers, engineers, sales leads, and potential customers in both the business of B2B and B2C, both of which covers the majority of business types in the world. What is ethical in B2C and B2B web sites? What are the laws in advertising online? Are there different issues with B2B and B2C? What are the ethical standards, federal laws, and international laws for email marketing? What can be copied online? In a society where legal and ethical limits are pushed to the max and how the attitude pervades those around us that if there are no rules against something then it is OK to do, why even ask about ethics and ethical values on the Web? Because, it really does affect you and your business! Read the information above. The Internet is a growing and a continually evolving creature that will live on in perpetuity. As such, it would be wise to ponder the various e business legal and Internet marketing ethical issues of both B2B and B2C business practices online. Whatever is written and published online today will likely be there tomorrow and possibly be recoverable forever. Imagine the billions upon billions of text information in web pages, publications, and books that are and will be stored for a long time to come. There is even a site where you can go way back in time to check out archives of other websites and view pages that were created at the beginning of their infancy. Additionally, old videos, films, movies, and audio in various applications formats are also viewable. With text messaging, wireless web mail, picture uploading, video recordings, and even video conferencing from cell phones and other personal communication devices with built in microphones and cameras, the Internet will be affecting more lives than ever before. Security and privacy concerns, along with e-business regulatory issues will become more prevalent. It will become more difficult to figure out who you can trust online, which websites are safe to visit, along with all the unethical, illegal, Internet marketing schemes, search engine optimization, search engine marketing, and online advertising frauds and all types of ebusiness email scams to contend with. If you are writing copy and maintaining a client’s business website or ecommerce website here are some important items to carefully consider for consumer privacy and legal matters. What you say when copywriting and publishing for a client is a reflection of how the client’s brand is viewed to the rest of the world. Negative or defamatory articles published about various people and companies, on other websites, blogs, and forums, if not properly researched and documented, could possibly have legal consequences of libel that can stretch across countries. Additionally, consider carefully what is being published on blogs. Blogs are simply easy to publish websites and content management systems where daily, weekly, monthly, (more or less frequently), personal or corporate thoughts, information, ideas, and happenings can be published and shared online with others. Interaction with readers can be set up in the form of comments from visitors. Typically blog websites can be set up for free of charge. Here is a link to an old CyberJournalist.net article titled: A Bloggers’ Code of Ethics, which has information and a suggested things to do for best practices in writing online, and what not to do list, and guide to publishing information on a blog. If webmasters perform unethical search optimization of a client’s website, it could have long lasting negative business consequences for that client that can not be easily repaired. Consequences that at first glance may seem insignificant, but can severely affect the online sales and brand image for the long haul. People are getting more search savvy online. Consumers also know that they can sound of online on blogs and forums, and in essence say, “I’m mad as hell, and I am not going to take it anymore!” Consumers and online searchers are becoming much more aware of the business false advertising that is upon us. Beware, it’s just a matter of time until we hear more stories and legal action taken. When dealing with ethics in a B2B company and B2C clients there is a major degree of trust and responsibility that is imparted to a person or group that maintains the corporate Web site. It is very important from both an ethical values based ebusiness and legal B2B and B2C perspective to make sure that the written words, pictures, videos, and what is being portrayed about a company are factual. Issues can quickly arise involving ethics in marketing and truth in advertising laws that can be devastating for a company’s brand image or very expensive to deal with from a legal standpoint. It can not be overstated, there absolutely needs to be a complete understanding of a business for Internet marketing issues and advertising purposes, and be aware of potential pitfall areas for revealing of intellectual property and trade secrets through information and articles published online. All items published online are likely to become public knowledge very quickly. For that reason alone, think carefully before hitting the publish button. Email correspondence should be private and confidential, and should remain that way unless permission is given to publish something online. While certain individuals might not see any harm quoting something from an email received, and publishing it on the Web, it is always advisable to get a person’s consent prior to publishing anything online. While the person might wish to give consent to the request, they however might not realize the full implications of what happens to online privacy when the quote is attributed to the person that made the statement. Unforeseen issues can certainly arise, or impact a person’s brand image directly or indirectly through other comments or the text being picked up in the search engine results and then copied by others. Therefore, it would be wise to consider the request for a quote very carefully before even asking for the person’s approval. Additionally, consider using only the first name and last name initial, or even their initials only. This way, their name is not directly linked to a comment online. Business and Ebusiness ethical issues and B2B versus B2C. What are the regulatory issues for a B2B site? What are the regulatory issues for a B2C website? Meta search engine robots topic. The e-business regulatory issues with B2B and B2C in the USA, compared to AU. and other nations. Email marketing laws in the United States. Email regulations in the UK. Email marketing opt-in vs. opt-out, vs. double opt-in. This is one to watch out for closely! Beware of phone “survey” scams, “Charity” Appeals for chain mail, send money, online security, and spam. Another area that can be a real pain for everyone on a computer is “The Never-Ending Hoax Viruses“. See: http://www.sans.org/rr for other articles related to consumer security. Copyright Infringement. Watch out for this particular crime of sites that copy your website text (legal issues) or name while trying to pawn off some other item they are selling (as though you are endorsing it – NOT). See: copyright law, reference: Digital Millennium Copyright Act. Redirects to other pages with completely different information than what was shown in the search results. Unethical spyware and adware companies are promoting themselves as: “get to the top of Google, Yahoo, and Microsoft Bing Search guaranteed for your keywords.” These companies are using the term “Search Engine Data Merging.” Spyware and adware is installed on some users computers then they sell keywords to professionals for thousands of dollars a year. This is a huge money making scam. The company has used various names: Search Elevators, Link Positions, Window Billboards Network, Winspeed Network, Real Positions Network, Keywords Guru, and even a search engine labeled RedZee Search. Read more: Advertising Scam – Search Engine Data Merging. Other unethical schemes have duped a certain public segment (especially when economic times are difficult), national business owners, local small business owners, and professional services people get caught up in all types of sales pitches, to go around sound sales, marketing, and advertising principles of getting their website found online, and try promised shortcuts that simply don’t produce. The outcome of this is that owners are out of pocket a ton of money, and nothing to show for it. Identity theft is a major problem of which I have personal experience with. That’s a different story and continues on. Beware, that this issue is related to online B2C ethical business issues and legal issues. For help see: Federal Trade Commission – Your National Resource for ID Theft plus the Better Business Bureau, BBB. More information on B2B legal, ethics, regulatory b2c ethical, Internet Businesses e-commerce legal issues articles and help can be found at the Internet Fraud Complaint Center, which has information about the various topics as well as filing a complaint. Intellectual property, Patents, Trademarks, Policy and Law Reports, & additional reference material can be found at United States Patent and Trademark Office. Domain name registration is another area online where ethics have been thrown out. Certainly there are some gray areas for someone to be registering a domain name that is close to some other corporate identity’s name. But, many of these individuals and corporations that register domain names in the same country and other countries that are near to, or similar to the spellings of others, are registering the names to infringe upon the trademarks and brands of other corporations and organizations. Briefly, I’d like to point out that use of a name can be legal for many parties whether they have a trademark or not. Two or more parties may have the same trademark in different jurisdictions, may have the same trademark in the same jurisdiction but in different industries, or may legally use a name without owning a trademark to it. It is not necessary to own a trademark, to use a particular name. With the proliferation of world wide domain name registrars from all countries around the globe, in which many of these countries, such as China do not even maintain the same social/ethical value systems, makes it even more difficult to protect corporate trademarks, copyrights, and intellectual property rights. Additionally, because many of these countries have their own rules and regulations for bringing domain disputes in which the complainant bears the legal burden of proof for their own claims in the native language of the country (as opposed to English), and differs greatly from that of the ICANN, Internet Corporation for Assigned Names and Numbers, registration and domain dispute resolution policies, it will become increasingly difficult to protect corporate identities on the Internet. Read the following article that gives great insight into the domain name scams from China. Read the article .CN Chinese Domain Name Scams From China for more insight into this. “Honesty the best policy” When dealing with customers and clients, not following this policy comes back to bite people time and time again. Do not be swayed by shortsightedness. If you see a potential for a quick buck, ask yourself if this really is a proper way to go about doing something. Businesses have been guilty of shortsightedness themselves. They have extracted a quick buck at the expensive of their integrity and consumers’ wallets. Remember, when working with clients, he or she is placing web site trust in you. Hold onto that trust dearly and don’t do anything that would harm it. They are trusting you to help them out on the Net. Remember this saying: Tell it like it is and do it with style! Customers will appreciate it. We provide a great Internet marketing solution for companies to be found online. Contact Professional Web Services today about Internet marketing services, online advertising strategies, ethical SEO – Search Engine Optimization, and Web branding solutions. Is your business website information out of date? If so, you may be guilty of false advertising especially when it applies to the consumer market place. Read why, from a B2B and B2C legal standpoint about the importance of having your website up to date. 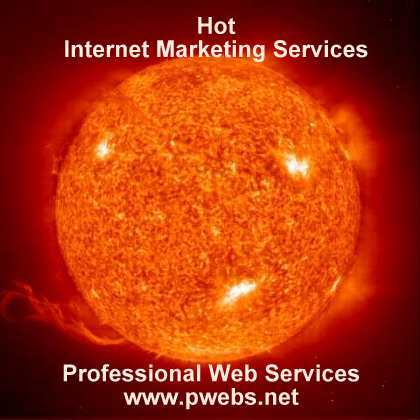 Contact Professional Web Services today to have your company shine brightly on the Internet. Click the link below. Professional Web Services standouts from the crowd. You can trust that we will always have the best interest of our customers first. Above All, We Tell It Like It Is, And Do It With Style!